Fully refurbished and pretty as a picture this lovely Swiftcraft 33 requires nothing. Bring your fishing rod, a good red wine and watch your worries wash away. 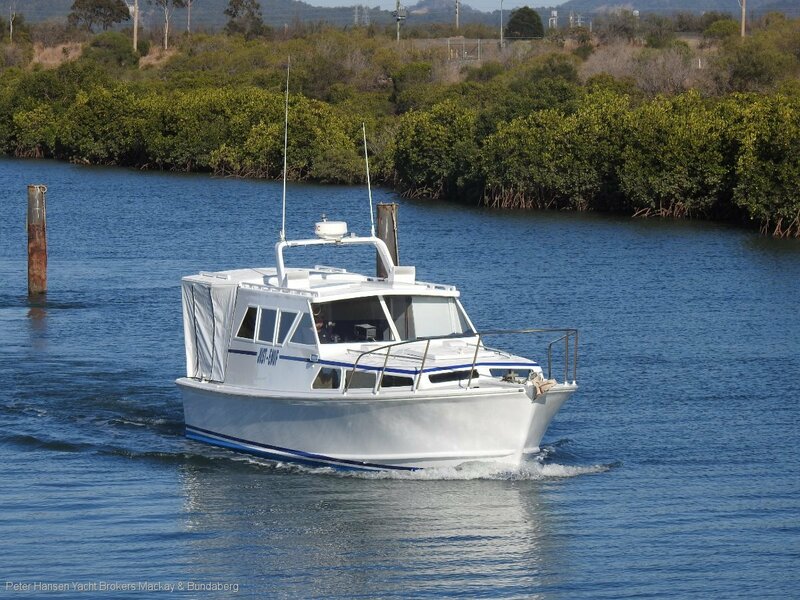 Powered by twin Perkins diesels, she has Anchorlift anchor windlass with 90 mtr chain, GPS Chartplotter, autopilot, sounder, radar, VHF radio and much much more. Contact our Bundaberg Office for full details and to arrange your private viewing.